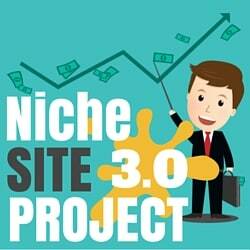 I'm excited to be back with our second coaching call for Niche Site Project #3! Today, Ryan and I started digging into some light keyword research on the top 3 niches Ryan identified after our last call. We discussed some of the possible sub-niches we could go into, and then let that guide us as we dove into Long Tail Platinum, Ubersuggest, and SEMRush to learn more about the kinds of things this audience is looking for. At the end of this page, you'll find the articles and videos that I provided Ryan after the call to help him better understand long tail keywords in general, and get a few strategies for finding better keyword ideas. If those are areas you struggle with, be sure to read to the end of the page. It isn't a highlight tape. You know how you watch Sports Center and see the 2 minute highlight tape of a 3 hour-long basketball game? You might watch the highlights and think everything that happened in that game was amazing! But the reality is, the people who played in that 3 hour game could tell you that there were turnovers, bad calls, TV timeouts, and plenty of other not-so-exciting things that didn't make the highlight tape. It's a similar circumstance when you read about other people's success stories and sites they've built from nothing into income-generating businesses. Often you're just seeing the highlight tape. This isn't necessarily intentional, but building a good site is a big project and when you look back on it months later it is easy to forget the not-so-great keywords you had to sift through to find the really great ones for their site. Just because me, Perrin, and Spencer are experienced at doing this doesn't mean that we go pop Long Tail Platinum into a microwave and 30 seconds later we have a bowl full of hot keywords. It takes work, and it's never perfect. So if you've tried this before and thought “I don't know how these other guys find great keywords so easily…” it probably wasn't as easy as they made it sound – so hang in there. You can also listen to the audio only right here. Our primary goal for call #2 was to review some of the sub-niches Ryan had identified for his 3 top niche ideas. Really, the point of doing that was to help shape the kinds of seed keywords we'd use in Long Tail Pro, to expand our ideas and ultimately identify what the competition looks like in this niche. None of it is set in stone at this point, but being aware of the directions you could possibly go is important. We don't dig too far into the data or deep keyword research on this call, I really just wanted to get a lay of the land and take a peek at some of the sites we'd be trying to go head to head with if we went into that space. Remember: One of our criteria from the outset was to pick a niche that Ryan was interested in, or had expertise in (or both). I'm a believer that you can make a site work in just about any niche if you have a good plan and execute. So I really want Ryan to do something that he'll enjoy working on – we just need to make sure the topic has enough depth and get a glimpse of what some potential keywords look like from a competition stand point. I make a fair amount of decisions based on gut instinct. When I build out a site, I have a rough idea of the angle I'm going to take inside of a niche. That might mean being a little different from everyone else or at least give our site a brand-able identity so we have the opportunity to stand out. If I really want to go into a niche, I don't let the existence of competitors stop me. I just know I have to build something better. Think about Brian Dean, who runs the SEO blog over at Backlinko. His site is really only a few years old, but you can't hardly read anything about SEO without hearing about one of Brian's ideas like the Skyscraper Technique. The guy is seemingly everywhere and has become a well-known authority in a relatively short amount of time. But ask yourself this, what do you think the competition was like for SEO blogs when Brian started Backlinko? Certainly with the thousands of other SEO blogs there wasn't room for one more voice, right? Brian knew that even with all the longstanding SEO sites out there, he could still build a brand by standing out from that huge and very competitive crowd. No doubt things have worked out very well for him. The point is, as long as the niche is big enough I believe you can carve out your own space to be successful in that niche. The part about standing out from the crowd in some way is much easier when you actually know and care about your topic – which is why that's high on our list of niche selection criteria. I like using LTP and/or SEMRush to get an idea of who we're going up against when we go into a niche. Is it all huge brands? Is it mostly small niche sites? etc. I get started by finding some keywords we'd possibly target and see who is ranking for them now. If we find that they have results from other niche sites, that's a great sign! When I go open up that potential competitor site, the uglier, the better. If the site looks dated and not user-friendly, I know I can beat them there in addition to creating content that is better overall. Basically, I think if they can get there – so can I. The same goes for seeing forum threads in your results. Even if the forum's domain has some nice authority, I think it's a good sign to see discussion boards in the top 10 – I feel like I can create a much better piece of content on the topic and outrank them. In today's call, I saw enough in SEMRush on the potential competition that I know if we really put in the hours we'll have no problem finding plenty of topics and keywords inside of our niche that we've not even thought of yet. We also talk a little bit about page and domain authority, where the lower the number the better (as far as what you want to see in a competitor). This doesn't mean that Ryan (or someone else) can't build a site in that niche with success, I just think it was the weakest of the 3. I prefer a site where there is a great variety of keywords – all kinds of things we can talk about and rank for. We don't end up spending much time on this topic, but I think with the 2 niches we're deciding between have plenty of monetization opportunities. Affiliate products should be plentiful, as well as the opportunity to build a list and create our own physical product down the road if we'd like. Ryan needs to love the topic and/or be an expert in it. We want to make sure the topic is focused, but broad enough that we could easily find dozens of keywords and build a bigger site. We want to see other niche sites ranking for keywords that we'd also target. If we see really weak sites, that's a great sign. We want to see a fairly clear path to monetization. In a nutshell, that's how we're thinking about it. I'm very confident that Ryan will be successful in either of his final 2 niches that he chooses and next week we'll dig even further into keyword research and be ready to make a decision. I left Ryan with the task of continuing his own keyword research, primarily using UberSuggest and Long Tail Platinum. On our next call, we'll review some of the keywords Ryan finds and look at the competition together to determine if it's something we might target. Since we'll really be taking a deeper dive into the keywords of our final 2 niches, we hope to make a decision on the niche soon so we can really focus our efforts. This project 3 is fun to follow. Especially because it shows techniques from three experienced marketers. For this coaching call, the audio from Jake was a bit too soft. Can’t wait for the next call recording! Thanks, Pim. Will try to be louder next time around! Yeah, although not bad, compared to Ryan it’s a fair bit quieter, so I had to use earphones, because with the speaker turned up to hear you, Ryan was too loud. The other thing, the video quality was a bit low, compared to Perrin’s, this was a bit hard to read. Maybe record in a higher resolution? Thank you for these calls, so useful! In addition…for me, as not being native in english, it will be very nice if Jake (and the others, more or less) would try to have a clear pronunciation and not to rush so much when speaking. Thanks, it could be much worse of course. It was just a tip. The content is still very good! I would really like to hear some advice about structuring a website. So what will be a page that is in the top menu (or sub child). And what will be a blog post. I find this pretty difficult. I’m sure we’ll be covering that in a couple of weeks, so stay tuned. I really like Jake’s way of doing things, I really think Jakes team will do the best. I do want to add if anyone is having a hard time coming up with ideas or topics to go into – just type a random word into google and search through the descriptions for things or words that stand out to you. Don’t be afraid to go to the second or 10th page of google looking at descriptions to get ideas. For example I typed “bacon” into google and on the 4th page i found the words “screen printing” which would be a very interesting Niche to get into. Like Jake says, seeing forums is a good thing. If the first page of google is full of forums then that will be a easy keyword to go after. Also to tell if a keyword will be hard to rank for look at the first page of Google and see how many of the main words are used. For example the main words in “Best bowling ball for short people” will be “bowling ball” and “short people”. “short” will be the most main words out of all the main words. Do a Ctrl+F (CMD+F for Mac) to search the first page of google for the main words. If the whole page fills up with the main words then it will be hard. If the SERP lacks use of all the main words then it will be easy. If you need an example then google “best blender” and do ctrl+f in Google Chrome and enter “best blender” in and notice how the whole page gets highlighted with yellow pointing out how many times Best Blender gets used. I have tons more ways to find keywords and how easy they will be to rank if anyone is interested I can try to answer questions in these comments. The ctrl+f is a great tip. Thank you! I’ll take you up on your offer but I don’t want to giveaway my niche, so I’ll try to give a similar example. Herbs, herbalism, herbology. Just for ailments there are lots of LT keyword phrases like herbal remedies for allergies, herbal remedies for acne, herbal remedies for colds, the list goes on. Herbs are products that can be purchased on Amazon & other sites. There is also a variety of gear/tools that go along with herbalism. Lots of DIY herbal concoctions, like beauty products, cleaning supplies, even recipes for foods to eat. So the big niche is herbs/herbalism which feels too big for a home page keyword. What tips do you have for narrowing down the umbrella keyword for your homepage? Personally, I don’t worry too much about the home page focusing on a keyword. I basically use all my posts to focus on specific keywords, and my home page will usually show most recent posts, and then I’ll do some simple image design on Canva to make a graphic for what I feel like are my most important posts – Like “The Ultimate Guide To Herbalism” or something for your example, and have those on a side bar, footer, etc. As for your narrowing down question, You really can get great ideas from Ubersuggest and a similar tool (pardon the name) called keywordshitter.com – where you type in one word or phrase and it just drops tons of similar words out. But I like using Ubersuggest to get ideas for completing a phrase. Your example of “Herbal Remedies For” would be a great thing to put into Ubersuggest, because you’ll get a bunch of things that people are putting after the “for” in that search. Thank you Jake! I now have a clear vision of what a home page will look like. I was getting so hung up on figuring out the biggest keywords for the home page. Don’t worry about the homepage just yet. Just worry about getting as many post as you can get up and the market will tell you what people like the most. For a new site you need to go after super easy keywords at first, this will be your foundation and will help you see what people like to read about and then you can go after the products that relate the most to the more popular post you have. I’m not a fan of ubersuggest because it feels so limited. I like “keywordshitter” since it gives a huge list of keywords, many you would never know about. Just take the huge list of keywords it comes up with and search google for them and look how many of the main words are used to see how hard it will be to rank for it (the ctrl+f method). Also I would still go after keywords even if they don’t have any search volume in long tail pro or the keyword planner. I have several post going after a keyword that google says gets no searches a month and yesterday one got 30 hits. Its very rewarding to rank for a keyword that gets no searches a month according to the keyword planner and you get 500 people a month come from google to that post. Just remember you need to give more than you take when creating websites. Don’t focus on the products just yet, focus on how you can give the most value first then worry about the products. Thanks Steve-O! This is the 2nd time someone recommended the Ctrl+F method. That’s super helpful. It looks like the final word is that it’s a monthly number. However, Spencer shared in a Facebook comment that after checking the numbers compared to several of his sites, the SEMrush number was VERY low. In some cases, his monthly organic traffic was about 10X greater than their estimate. I’ve found the same to be true on a couple of my sites, so take it for what it’s worth. Hi – thanks for commenting. I appreciate it! Thanks for the learning session! During your keyword research, you included all three (Low, Medium, and High) Advertiser Competition values. I think Spencer and maybe also Perrin have filtered out Low from their results in the past. Can you talk a little about why you don’t filter out Low? During my keyword research, some of the keyword that are “Low” have some really great “other” metrics that get me excited to create an article for that keyword. But, I always have that question in the back of my mind that maybe there’s a reason that no one is writing articles that focus on this keyword. And, it’s because it’s not a keyword where people searching are also buying.